Last July, I was pushed, bullied and cajoled into doing something that absolutely terrified me. That pushy, cajoling bully was Pat Flewwelling, who is actually an extremely nice and giving woman who also happens to be a very talented writer. For a couple of years, she kept talking about how much fun this thing was that she did. How the people that did it with her were amazing. How good she felt when it was done. I almost broke a couple of years ago and went, but decided not to. Then, last year, Pat did the exact right thing…she shot me an email, told me the spots were almost gone and that I needed to make a decision and make it right frigging now. So I did. And, to be quite honest, it changed me. So, this year, I am once again participating in the insanity that is the Muskoka Novel Marathon. Here’s the bare bones of it: 35 writers in a room (with a few more participating remotely) for 72 hours, from 8:00 pm Friday night (July 12) straight through until 8:00 pm Monday night (July 15). In that time, we write. We all write. As much as we can. Last year, my virgin year, I went in hoping to come out with somewhere between 50 and 75 pages. When I had 40 pages written that first night, I upped that goal to about 100 pages. Long story short (pardon the pun), I completed 252 pages, or about 60 000 words. And somehow, in that process, managed to win the Rookie of the Year Award. 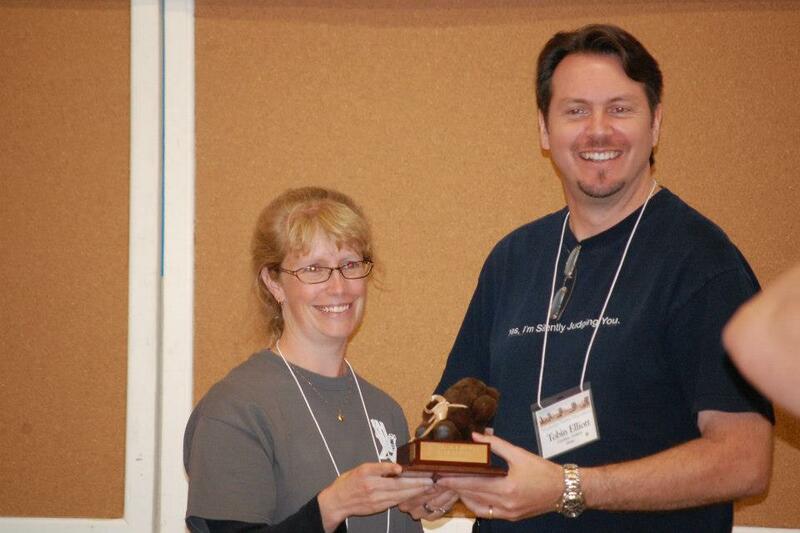 Getting my Rookie of the Year award from the ever-awesome Paula Boon. To celebrate, I haven’t cut my hair since, so this year I’m looking forward to the Wookie of the Year Award. I’ll be a shoe in. By now, you have to be asking why anyone would want to do this crazy thing. To me, this is akin to laying down on red hot coals, or chopping a hole in the ice on New Year’s Day and going for a quick dip. They’re painful and seemingly provide no payoff. Yes, I got a lot of pages out of it, but I still had to go back and finish the story at a much slower pace, and I still haven’t gotten to edit it. There is a payoff, however, and this year, it’s more obvious than most. The Muskoka Novel Marathon has one real purpose and that’s to raise money for Adult Learning courses through the YMCA of Simcoe/Muskoka. It’s to help adults who can’t read, write or perform basic math skills. It helps them become more computer savvy and gain marketable skills. They do this through the money raised by those of us crazy enough to put ourselves in a room for three days and write. I can’t speak for previous years, because last year was my first, but it was magical. The goal was to raise $10K. Lightning struck and we somehow managed to blow right by that and raise about $15K, smashing previous records. 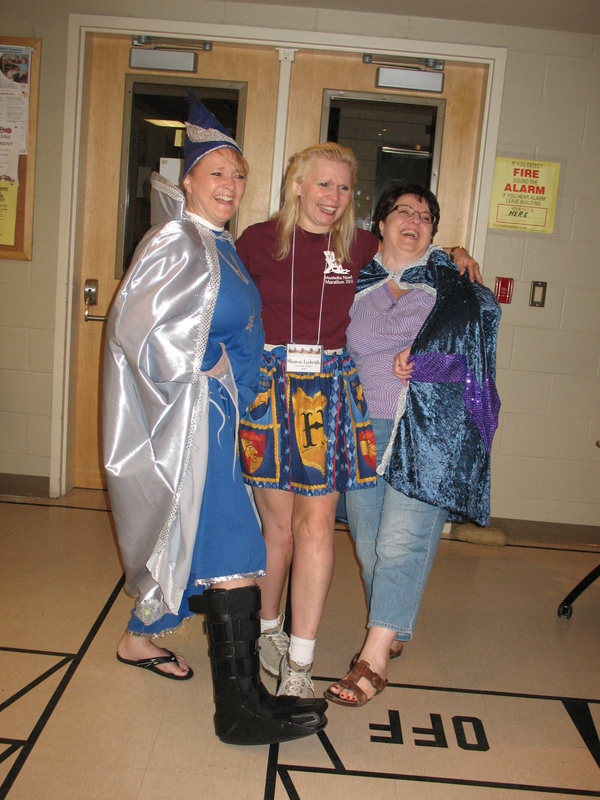 The very strange and obviously sleep-deprived antics of Lori, Sharon and Sandra…it’s better if you don’t ask. While it’s a kick to see the page number count grow over the three days, and it’s a blast to step into ad hoc conversations on how you just killed someone off, or see a couple of people, obviously sleep-deprived, pull on shiny capes and pointy hats at 2 in the morning, these aren’t the shining moments. The shining moments come when you see the organizers of the event revealing how much money was raised, and seeing tears in their eyes. Seeing how much they care about what they’re fighting for. It’s humbling. We’re just there, doing what we do because we love doing it. But suddenly, through this silly marathon, suddenly our words take on some power, some meaning. 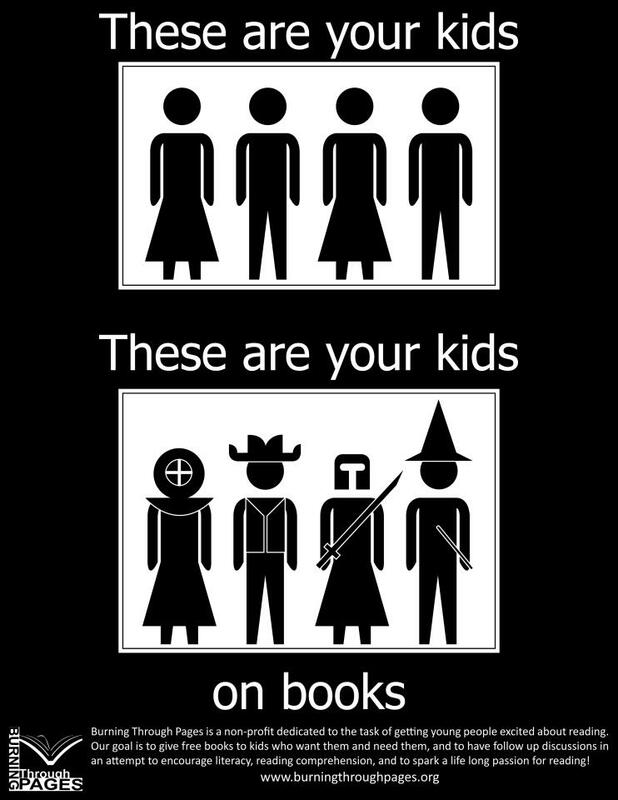 We’re helping others to read. This year, it’s going to be even more magical, more meaningful. This year, for the first time, one of the people that has reaped the benefits of the literacy programs will actually be participating in the marathon. I don’t want that last paragraph to be glossed over. Read it again. Someone who had problems reading and writing before, has now gained enough skills, enough confidence, to actually participate in three solid days of writing. That’s what these programs do. This is the power and the meaning I’m speaking of. This is the payoff. 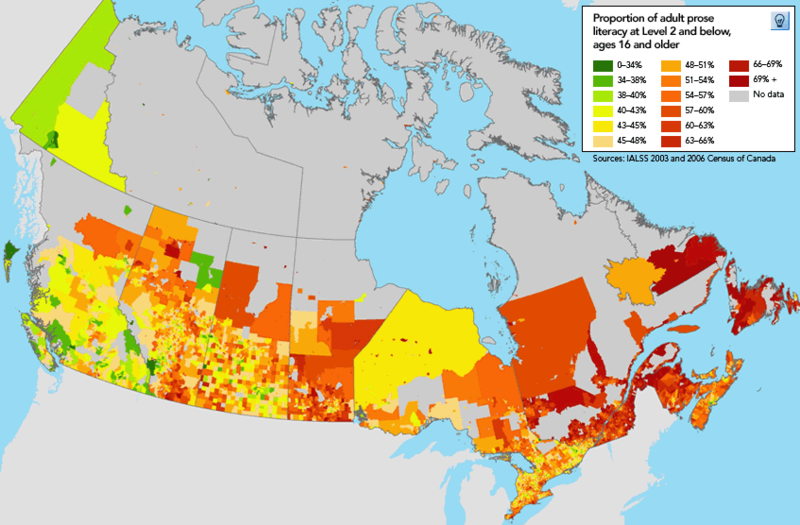 It’s estimated that almost one-half of all Canadians are functionally illiterate. For round numbers, that’s about 15 million Canadians. The next time you’re in a crowded room, look around. Look at all the people there. Then, draw a line down the middle of them and imagine that half of them don’t have adequate language skills. Instead, they’ve focused on creating survival skills to hide their disability. Any of these sound familiar? I’ve said them myself, and I can read. These are the simple tricks they use to get around. The Muskoka/Simcoe programs help about 200 people a year. That’s a drop in the bucket when you run it up against that much larger 15 million number, but it’s a lot like writing that way, isn’t it? I can only write one word at a time, but eventually, one after the other, I’ll ultimately end up with a novel of 100 000 words. These programs do the same thing, helping one person after another. I’m going to end this the same way I did my post for this last year. I know that everyone has their own causes and charities that are important to them. Everyone’s been touched by some adversity in their life and dedicate themselves to trying to help others in the same boat. And if this isn’t the cause for you, no problem. I get it. I’ve had to say no many times myself. I thank you for reading and learning a bit more about this issue. I’ll ask you to scan this post, just for a second and marvel at how fast you can light on a word and understand not only what it sounds like, but what it means in and of itself as well as it’s context in the sentence. Then I’ll ask you to consider donating some money to this cause. It doesn’t have to be much. It can be as little or as much as you can afford. Here’s what I’ll do to sweeten the pot slightly. Donate $50 or more, and I’ll use your name, or a name of your choosing, in whatever story I write this year in the Marathon. I can’t promise it’ll be published, but hey, I’m on a bit of a roll, so you never know. Literary immortality. Who doesn’t want that, right? This entry was posted in Authors, Serious, Writing and tagged bully, charity, crazy thing, hole in the ice, hot coals, illiterate, literacy, marketable skills, MNM, muskoka, Muskoka Novel Marathon, New Year's Day, Nine Day Wonder, Pat Flewwelling, payoff, rookie, talented writer, wookie, writer, YMCA of Simcoe/Muskoka by Tobin Elliott. Bookmark the permalink. See now I want to donate to you, just to see what horrible way you’d kill me off. (Isn’t being a writer awesome?) BTW I’m partial to beheadings. A beheading can be arranged!